ISLAMABAD: Foreign Minister Shah Mehmood Qureshi on Tuesday informed the Senate that he had written a letter to the secretary-general of the Organisation of Islamic Cooperation (OIC) on the issue of blasphemous content, asking him to call a meeting in Jeddah of OIC permanent representatives. Speaking in the Senate, Qureshi said if steps were not taken against blasphemy it would ignite religious extremism. The cabinet, in its first meeting, had expressed its anger and grief on the issue of blasphemy and the Dutch ambassador was called to the Foreign Office to make him aware of the situation, he added. Letters were also written to the six member countries of OIC, Qureshi added. Qureshi said he would raise the issue at OIC forum during the meetings of the United Nations General Assembly. The minister said previously after incidents of blasphemy, OIC warned of a blockade of goods of countries where blasphemy was being committed and that sent a message to those countries. He said the issue would be raised with the European Union as well, adding he was conveyed by PTA that it blocked 32,000 websites and link posting blasphemous material. Foreign Minister Qureshi said the Dutch foreign minister was likely to contact him and he would convey feelings of people of Pakistan and representatives of parliament. Qureshi also raised the issue of how Muslims were being treated in Myanmar, assuring that Pakistan’s sympathies were with this as this was a human rights issue. The minister said the situation in Indian Occupied Kashmir was evident before everybody as human rights were being violated. He said India needed to revisit its policy in Occupied Kashmir as a genuine movement was continuing in the valley against Indian oppression. Earlier, members from both sides of the aisle in the Senate demanded that government agencies take action against those who were committing blasphemy against Prophet Muhammad (PBUH) on social media and at other media platforms. They were taking part in a debate in Senate on an adjournment motion moved by Senator Muhammad Ali Khan Saif regarding the continuous display of abusive and blasphemous material against the Holy Prophet (PBUH). Senator Mushtaq Ahmed said that Pakistan was facing a cultural invasion and was encircled by enemies of Islam. He said that Islam was present from one corner to another corner of the world, adding the eminence of Prophet Muhammad (PBUH) could not be lessened by certain elements in the west. He said that freedom of social media should be curtailed as it was enjoying an unbridled freedom and people were making fun of Islam and Islamic personalities on the platform. “UN and EU should be approached on the issue of blasphemy,” he suggested. Leader of the House Shibli Faraz had said that a committee headed by Senator Muhammad Ali Saif should be formed to further look into the matter. Senator Khushbakht Shujaat had agreed that the government should act on the matter and also take up the issue at international forums. Senator Azam Swati added that it was an issue related to the whole humanity and the disrespect had hurt the sentiments of Muslims. Senator Rehman Malik condemned the making of the blasphemous caricatures as well. He said action should be initiated against those propagating anti-Islam and anti-Pakistan views. He added that the government should buy equipment worth $25 million for PTA to further block blasphemous material and anti-Islam views. Senator Attiq Sheikh said that Federal Investigation Agency (FIA), PTA and Pakistan Electronic Media Regulatory Authority (PEMRA) had failed to take action against insulting material. He supported the idea of the formation of a committee that could take workable steps to address the issue. Senator Moulvi Faiz Muhammad said Muslims all over the world should boycott the products of those committing blasphemy as a mark of protest. Senator Usman Kakar, Senator Sajid Mir and Senator Imamuddin Shouqeen reiterated the same sentiments. Shouqeen suggested that the Dutch companies doing business in Pakistan and earning profits in billions should be put on notice and told that it is because of the acts of blasphemy happening in their country. Deputy Chairman Senate Saleem Mandviwala had said that he would consult with leaders of the house and opposition for the formation of a committee to further deliberate on the issue. Meanwhile in a statement on twitter, Foreign Office (FO) Spokesman Mohammad Faisal said that Foreign Minister Shah Mahmood Qureshi had contacted his Dutch counterpart to register a protest by Pakistan over the blasphemous competition. 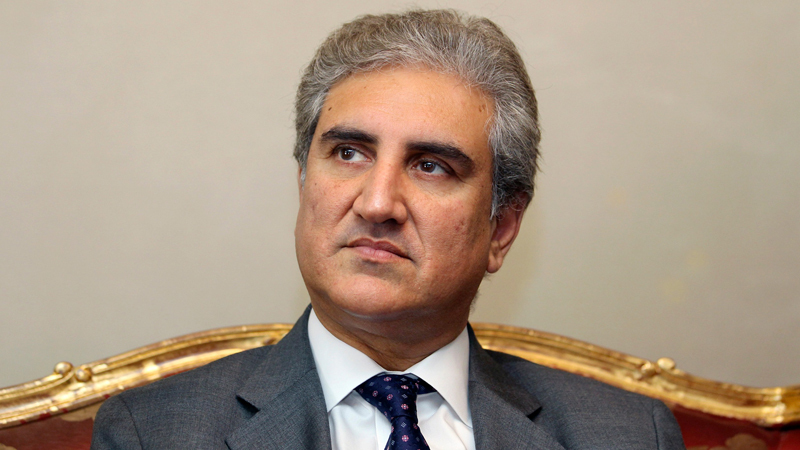 “FM Shah Mehmood Qureshi raised the issue of the blasphemous event with the Dutch FM. (The) FM underscored that the abominable act of the Dutch Parliamentarian was provoking and hurt the sentiments of Muslims across the world. Such acts spread hate and intolerance,” Faisal tweeted. Later, the foreign minister also briefed the federal cabinet over his interaction with his Dutch counterpart. The minister vowed to carry forward the protest of Pakistan at all levels, telling the cabinet that Pakistan was trying to unify the voice of the Muslim world through the Organisation of Islamic Countries (OIC).